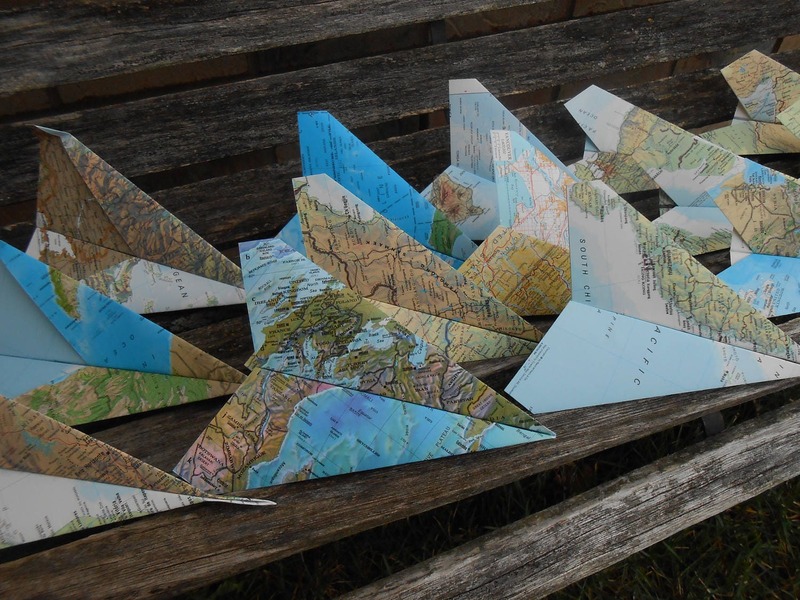 THIS LISTING IS FOR THE BIGGER, FLYING PAPER AIRPLANES. IF YOU WANT SMALLER ONES, PLEASE SEE MY STORE. 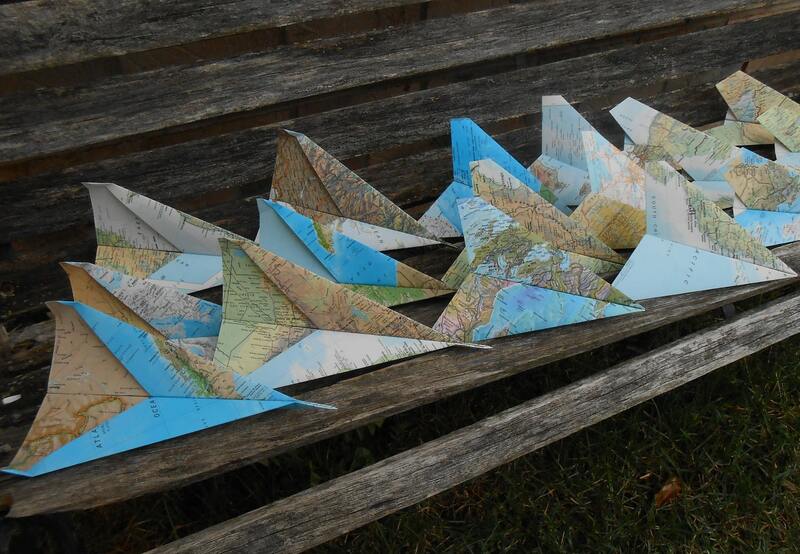 Made from a vintage atlas, these paper airplanes make great favors and decorations! Give them as favors at a kid's birthday party, play games with them, or hang them from the ceiling as decoration. There are so many uses for these! 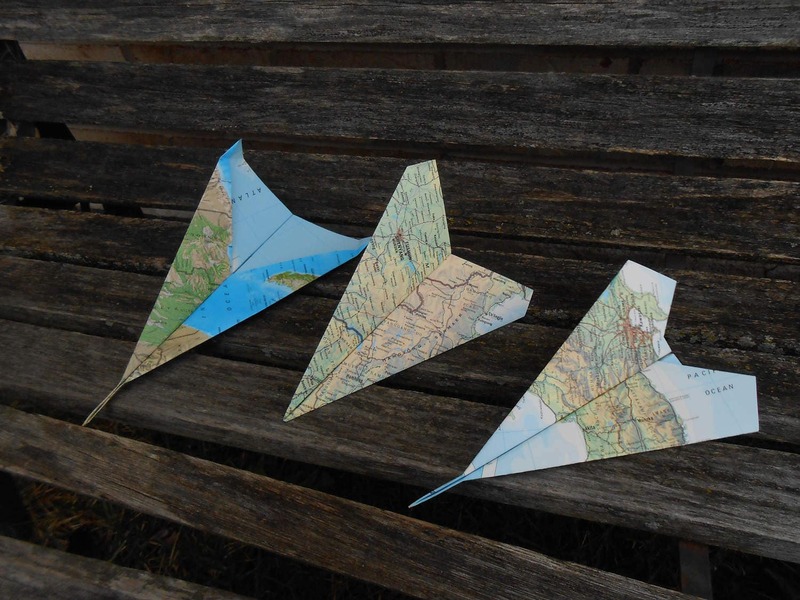 There are 3 styles of FLYING paper airplanes you can choose from. They measure between 8-10 inches long. -Select the amount of planes that you need from the drop-down menu that says "Number of Airplanes"
-Choose whether you want all three styles of flying airplanes, or just one or two styles. 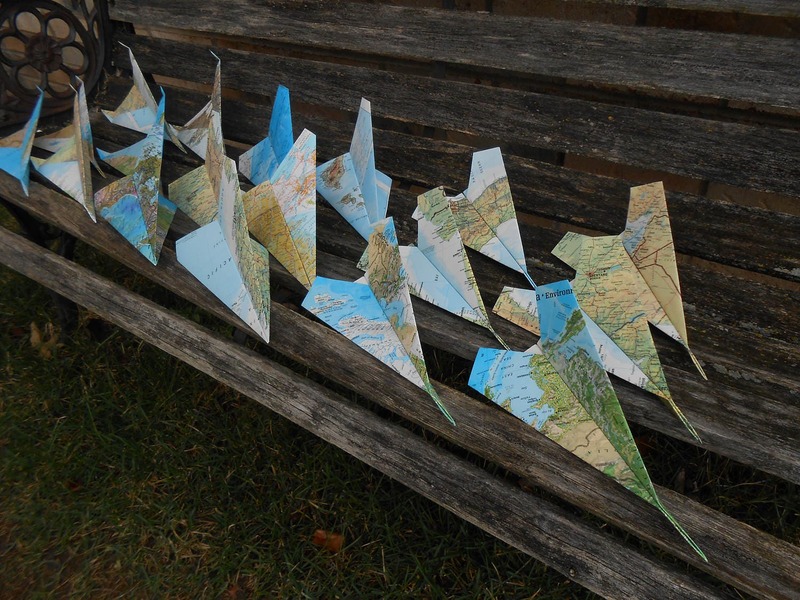 *NOTE: These are glued together in the middle, so that they won't come unfolded when the kids throw them. It also makes them more sturdy. 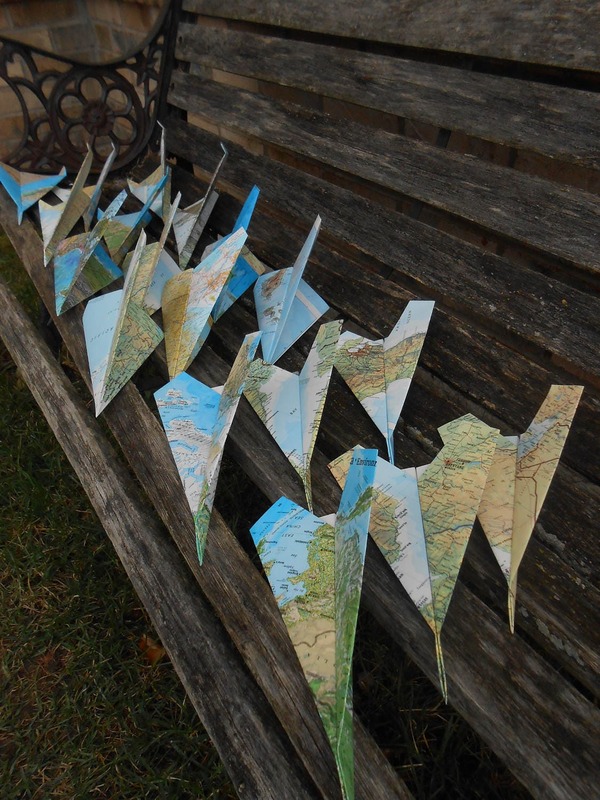 All planes are shipped totally assembled.